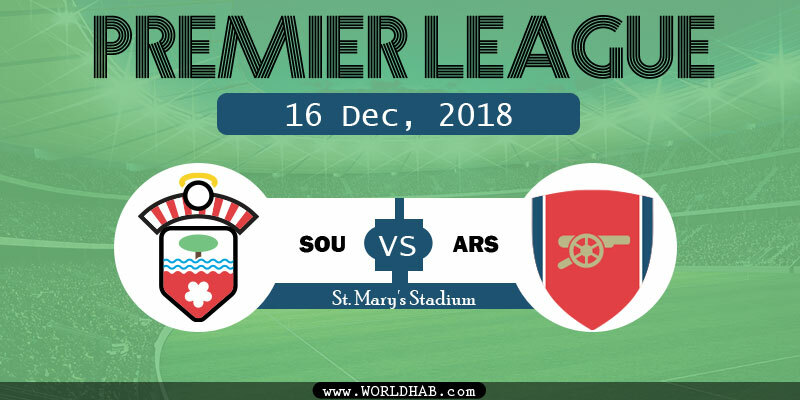 This is the game of Southampton versus Arsenal, fixtured to play on Sunday, 16th December at St. Mary’s Stadium in Southampton, Hampshire. The Saints’ have won only six matches of their last 38 Southampton vs Arsenal meetings in the Premier League which includes ten drawing and 22 losing matches. In the Premier League fixtures, Saints have won only four of their last 41 Premier League, drawing 17 and losing 20. Currently, they are at the 19th position in this season by scoring nine points. The Gunners didn’t lost their 14 outings in the Premier League, winning 10 and drawing four. Also, Arsenal have 22 games without defeat in all competitions, winning 17 and drawing five. Saints Live and Arsenal Player are official services which provide the live updates of the match. Arsenal Player provides live audio commentary of Arsenal’s games.